This is our masterpiece. The Praeludium Guilloche. In order to realise it, we worked closely with a select group of craftsmen. 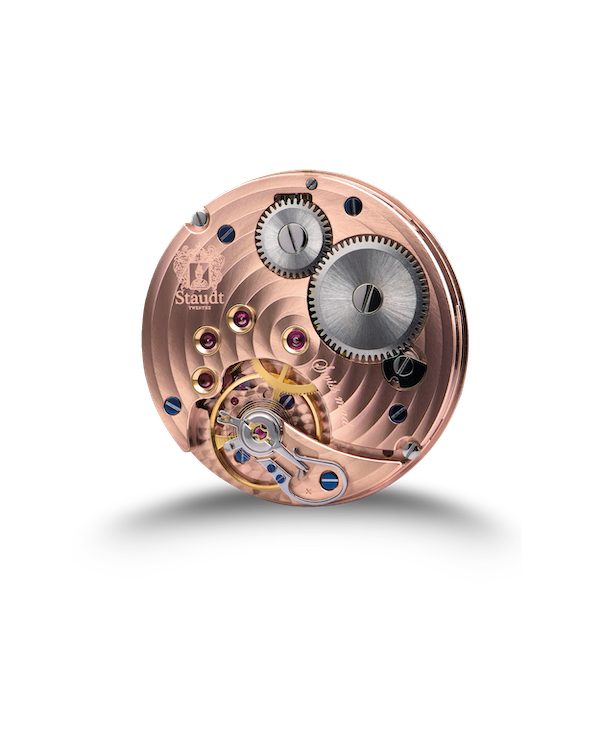 The dial is hand cut from solid silver and the watch case is exclusively available in 18-karat pink gold. Only 25 examples of this limited-edition watch were made available in the Netherlands. Each watch is numbered, both on the dial and the case. The Praeludium Guilloche is a mechanical watch that displays the time in hours, minutes and seconds. 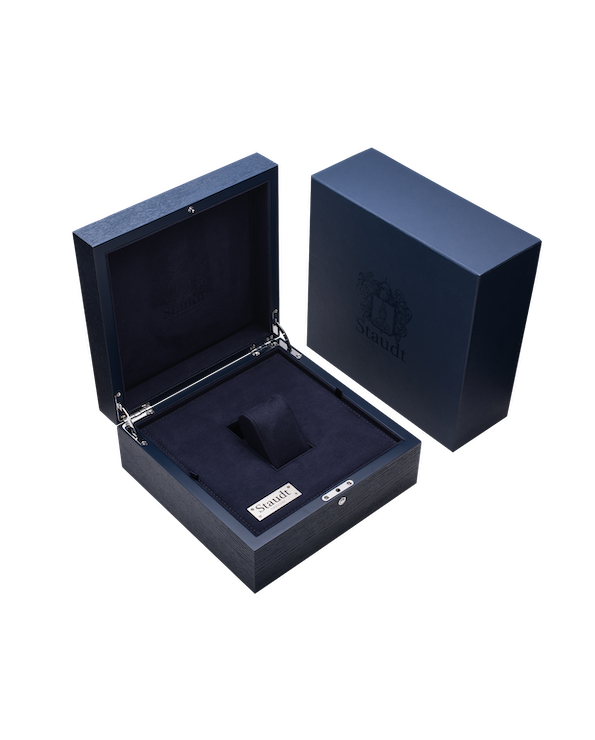 The case measures 42.5mm in diameter and is made from 18-carat pink gold. 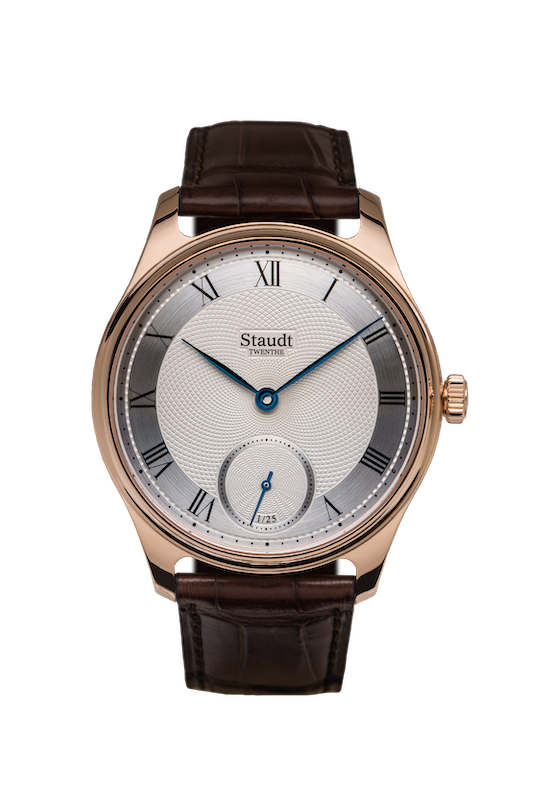 It is water resistant up to three bar and a curved sapphire crystal with a double anti-reflective coating provides a crystal-clear view of the hand guilloche dial. Highly polished hands, blued by heat. with 18-carat rose gold pin-buckle. © By Staudt Twenthe Watches B.V.